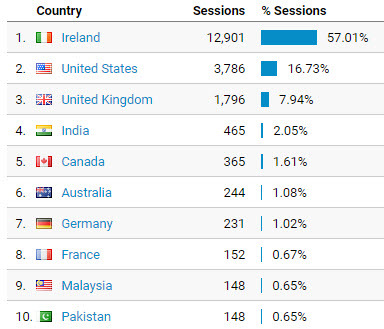 Interestingly, of the 57% views from Ireland, 77% of these come from the Dublin region. Apart from family, I rarely meet anyone who has read my blog. Based on figures from LinkedIn, I seem to get most views via that network. 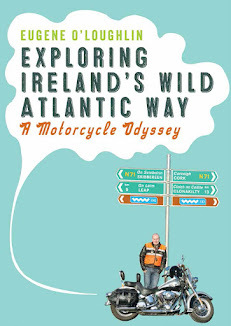 So a big THANK YOU to all my Dublin-based Irish readers for checking out my blog! Incidentally, map data is poorly illustrated in Google Analytics - I'll not be using it in class. * A session is the period time a user is actively engaged with your website, app, etc. All usage data (Screen Views, Events, Ecommerce, etc.) is associated with a session.